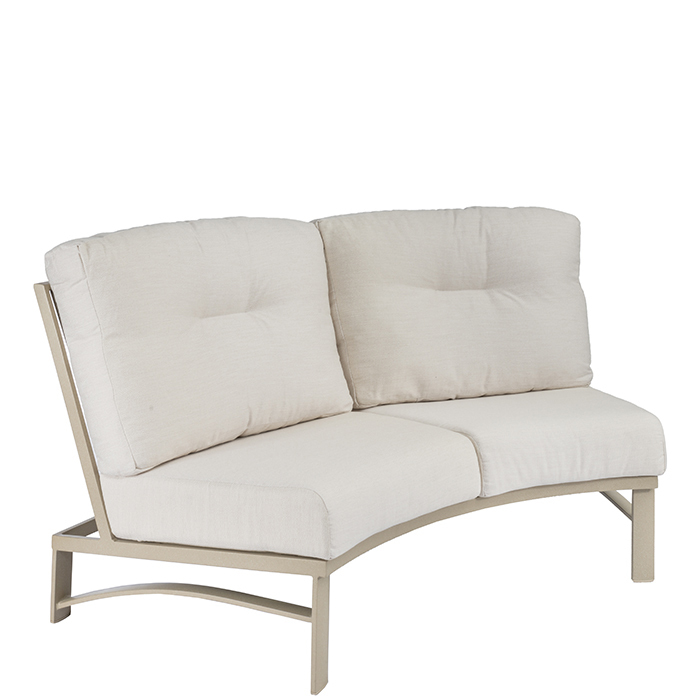 Kenzo Armless Crescent Love Seat has a unique, transitional design, while signifying superior outdoor comfort. Kenzo features clean, graceful lines, a wide frame, and comfortable fabrics from Tropitone's large selection. Add this complimentary look to your luxury outdoor hospitality space.